THE chairman of the House committee on justice Salvador “Doy” Leachon admitted that the country is not yet ready for the enactment of the bill lowering the age of criminal liability from 15 years old to nine years old. During the period of sponsorship and debate on House Bill No. 8858 or “An Act Expanding the Scope of the Juvenile Justice and Welfare System and Strengthening the Social Reintegration Programs for Children in Conflict with the Law, Amending for the Purpose Repubic Act No. 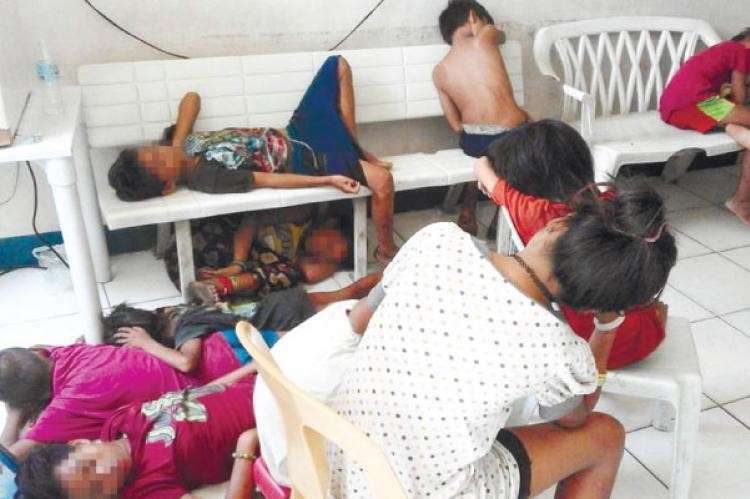 9344, as amended, otherwise known as the ‘Juvenile Justice and Welfare Act of 2006’,” Bukidnon Rep. Miguel Zubiri asked Leachon if the government is ready to attend to the needs of every children in conflict with the law. The debate on the bill happened on Tuesday, January 22, just a day after the committee on justice approved House Bill 8858. “Mr. Speaker if this bill is passed and made into law my question is very simple, are we ready for this? Is the infrastructure that we have nationwide ready for this? Is the support system or the support staff ready for this? Do we have enough support staff to be able to make this work,” Zubiri asked. In response to this, Leachon, the sponsor of the bill said House Bill 8858 is an enabling law to make the matters raised by Zubiri happen. “This is actually the enabling law in order to make it happen, Mr. Speaker because here there will be a mandate, of course number one to fund it, second to transfer the supervsison and maintenance from the provincial government to the national government and of course to create plantilla,” he said. “Of course this will not be done overnight, I must admit and by the way... in fact the answer to your question will only happen after the enactment of this bill,” Leachon added. Zubiri manifested that due to the lack of transformational facilities for child offenders, they may end up in regular jails. They could also end up dead. “Due to the lack of infrastructure or facilities by the agencies involved, our children will end up in the slammer or jail whether temporarily or permanently or even dead, God willing not,” he said. “What is going to happen is that they (government) are going to make space in the jails for our children and they will put them there if there is no space in the DWSD. That is the truth of the matter... That is the reality on the ground epecificaly in areas that are not developed,” Zubiri added. Zubiri noted that while other countries, including Japan have a minimum age of criminal liability that is lower than what is proposed in the Congress, he noted that these countries, Japan specifically, are more developed than the Philippines and can provide the facilities needed for the children offenders. Under the bill, children aged nine and above at the time of the commission of the offense would be exempted from criminal liability and be subjected to an intervention program unless the child has acted with discernment. Silencing opposing views, Leachon earlier said the bill is “pro-children” and that the children in conflict with the law will not be jailed nor will they be mixed with prisoners but will only be confined in Bahay Pag-asa, a transformational facility exclusively for the children in conflict with the law. The bill mandates the creation of Bahay Pagasa in strategic locations in provinces and imposes mandatory counseling for parents. It also mandates the DSWD to operate Bahay Pag-asa. The funding for the facility shall be included in the budget for the DSWD in the General Appropriations Act as stated under the bill.